Yesterday afternoon, a dark and stormy day, we opted to take in a movie. There were several to choose from, as I (maybe 'we') want to see Boyhood, Guardians of the Galaxy and Wish I Was Here. 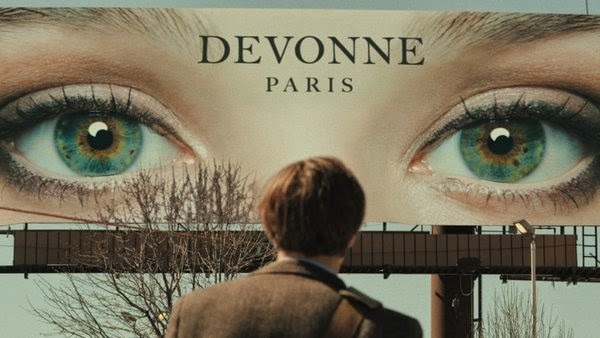 We also wanted to see I Origins. There is a method to my madness as to why I selected the latter. First off, I wasn't going to be with every 9-16 year old in the county to see Guardians on an opening weekend, let alone a rainy afternoon when every parent has dropped off their spawn. Boyhood has gotten raves, so it will be around for a few weeks. Wish I Was Here is lower on the list for 710. I Origins is playing at one theater in town, has little promotion (we'd seen 2-3 preview) and I guessed it would not be around for long. .....and judging by there only being seven folks in the theater, I might be correct. I liked the movie, but not over the moon about it. As often happens, the trailer made it look more interesting than it was, though didn't really give a thing away - that that's a bad / good scenario. The problem with the trailer, and even a part of the movie, is that they brought (at least) two plot points in that didn't really go anywhere. Like maybe something was left on the editing room floor. On paper, the story was interesting in a science vs religion/spiritualism aspect. In reality, it worked for the first half of the movie and ventured into questionable results in the second half. It was in the first half that one of the plot points wasn't truly brought to fruition. It was in the second half another one did not. And yet, something so seemingly crucial to the plot that you'd think two scientists (even three) would investigate further with a known entity rather than strike out on their own course. But I get it - that wouldn't have served the end point, at least without adding another 45 minutes to the movie. And if you need complete closure at the end of a movie, this might not be for you. Though, we normally stay for all the credits of movies - yes, we're the guys you have to crawl over on your way out of the aisle - we didn't this time. And now I hear that there is an after-the-credits-scene. I'm glad we saw it. There aren't any real major (or minor?) "stars" in it, but it was a good way to kills a dark and stormy afternoon. 2014 Movie Count / Goal: 5 of 12. Your warning about there being an after-credits scene is noted. Wish they'd stop doing this, or at least tell us that's it's there. I've missed quite a number recently this way. However, as this film won't be around in these parts for maybe another two months may well have forgotten by then - IF I see it, that is.